Seeking one female to share my home. Brighton is a great place to live. My home is close to the beach and not far from the city. This property is fully furnished, has central heating and cooling, and filtered water throughout. The room for rent has a double bed, a double built in wardrobe with mirrored doors, a chest of draws and a chair. All bedding and bath towels provided. This room has a garden view. I use the third bedroom as an office. The property is suitable for someone with a portable wifi device to connect to the internet, as my computer is hardwired. 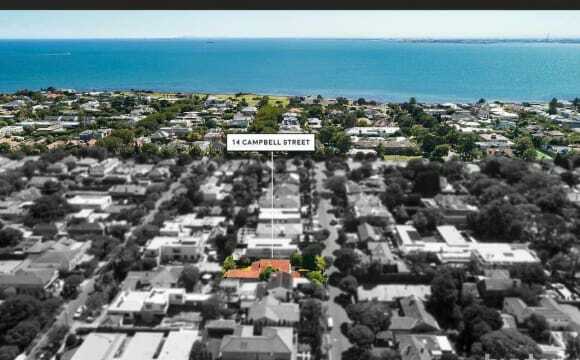 My house is situated six blocks from the beach and four blocks from the Martin Street shops, cafes and train station. One block away, you can catch a bus to the Martin Street shops, cafes and train station. The Sandringham train takes eighteen minutes to travel from Gardenvale Station in Martin Street to Flinders Street Station in the city. Hi, my name's Claudio, I'm looking for a new housemate to share this place with. 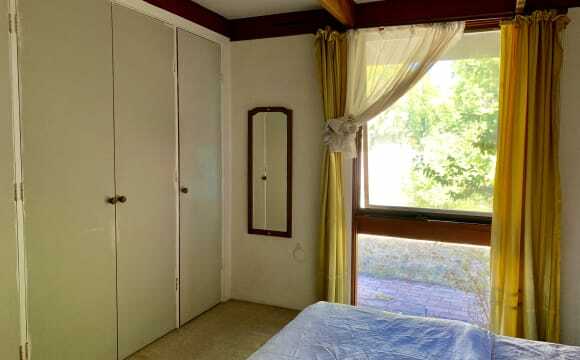 The available bedroom is medium in size with two windows and plenty of afternoon light. Room has 2 free standing wardrobes, and a comfy queen sized bed if required. There are four generously sized apartments within this converted solid brick mansion...ours is on ground level at the front of the property. The available room is at the front of this low maintenance apartment, mine is at the back, so it's almost like separate private zones. Gorgeous (maintained) gardens surround the raised porch/balcony, oh, and did I mention that the beach is literally at the end of the street?? It's such a beautiful stretch of beach, perfect for bike riding, running or a lazy stroll to the pier. Elwood beach to the right, and Brighton to the left. Bathroom is large (toilet/shower/washing machine/dryer), Lounge room is generous in size, as is the hallway (could be used as entirely another room) The kitchen is a bit petite but workable. Fully equipped with fridge, gas stove/oven/grill. Back door leads to a cute back porch. You'd be sharing with myself (38yo artist) and Max, my feline friend (must love cats) Being a self employed furniture maker/artist I spend much of my time working in the Bayside based workshop..... so I'm not home a great deal during the day. I practice yoga most days, am quite the food enthusiast ,enjoy cooking meals and relaxing for a couple hours after work. Hoping to find someone sociable who enjoys conversing, having a laugh and sharing a meal from time to time. I do have a habit of watching TV or films in the evenings, but I'm trying to cut it back,, I should be reading more! Looking for someone who like myself appreciates a tidy house and will share responsibilities to maintain and keep it this way, without being too OCD about it. Definitely not a party house, it's more a comfortable sanctuary / beach house (in the warmer months). Bbq's/wines on the porch, movie nights, discussions about arts and culture, that sorta thing. 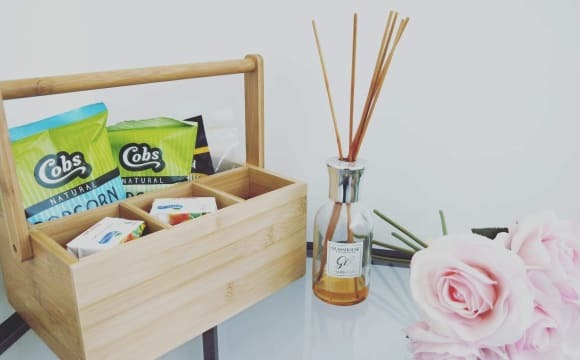 I'm looking to share this space with a trustworthy, considerate and tidy person whole values a healthy lifestyle. I'd like to share the whole house with you, I'm not interested in living with someone who locks themselves away in their room all the time. And sorry, no other pets, and I'd prefer to keep the house free of smoke as I do not smaoke, but if you do, then outside only please. And no drugs. Bond is $940, weekly rent is $217 (ie $940 per calendar month), internet is $35pw, and bills are split. Feel free to send me a message with any questions:) I look forward to speaking with you, Cheers! UPDATED 16th FEB . ROOM 1 IS TAKEN. 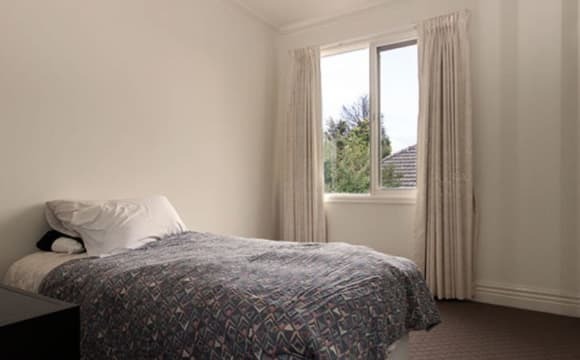 ROOM 2 WITH ENSUITE AVAILABLE 28TH February We're in the heart of South Caulfield, ON the 64 Tram line so it's super easy to get to the City or Monash Campuses. We're just a 2 minute walk from the park, gyms, cafes, and a 5 minute walk from Glenhuntly rd, with heaps more great food places. We have a lovely open-plan living and dinning space to socialise in, with a wall of windows which lets in lots of natural light and to watch the rain :) The kitchen is fully equipped, and the house is fully furnished including a washing machine, huge comfy couches, and a wall-mounted TV. We have a big back-yard, with beautiful trees, a trampoline, and a lovely out-door dining set. Room 1 is furnished with bed, bookshelf, and desk. Plus, it has built-in robes with heaps of space! Room 2 is also fully furnished and has its own bathroom. 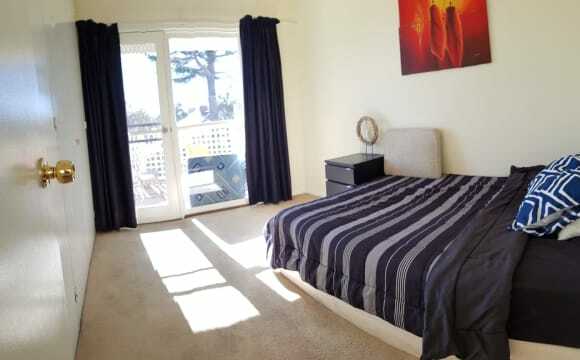 2 blocks away from the beach, 5-10 minutes from the train station to the city, 1 minute from bus stop. Quiet neighbourhood. Everyone very respectful. A large bedroom with large adjoining home office room is now available in our big Brighton home. Big House, Fabulous location in heart of Brighton. Short walk to 2 train stations which goes directly to Melb CBD. The beach is very close by! A very short walk to all the fabulous Bay st shops, Pubs, restaurants etc. Separate Lounge, Dining, Kitchen, laundry, big back yard with outdoor dining/BBQ area. Bedroom with shared bathroom. Lots of storage. Pets may be OK if they are fully house trained. Big backyard to share. Near Dog park. Perfect for walks by the beach! 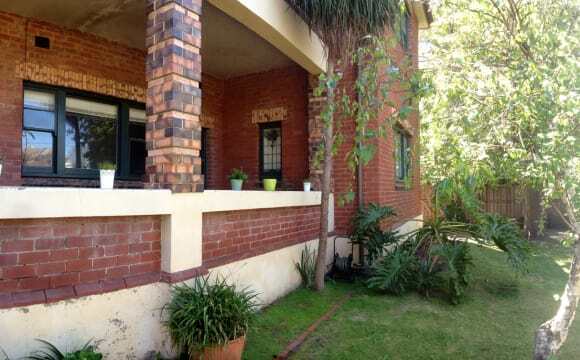 Amazing sharehouse in a prime location to the beach. 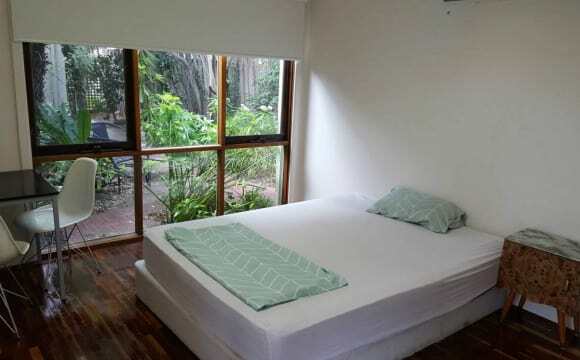 It's got so much space and has a great vibe!🌴🌅 Super spacious room are available for rent Perfect for couples or two friends who want to share! $175 for each person If single for that room $260. AVAILABLE FROM 29/01 INCLUDING BILLS; Awesome housemates! 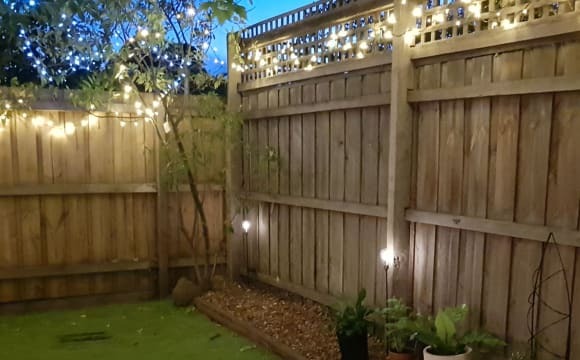 Rapid Wi-Fi central heating/cooling awesome backyard with BBQ off street parking laundry room w/ a washing machine 2 bathrooms, 3 toilets well equipped kitchen Located in a peacful area close to cafes, reastaurants and everything you need. Just few min walk to the beach! Bus stations are just nearby. Brighton north; Gardenvale train stations are in walking distance. Your room in our architect renovated home is bright and quiet. You have a private bathroom adjacent to your room. 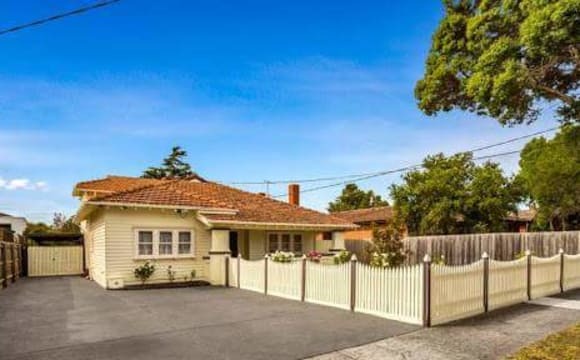 This beautiful light filled home sits in an established landscaped garden, near a popular local park and very close to public transport (tram, train and bus) shops and cafes. Our home is 15 mins train journey from Central Melbourne. The tram is a 2 minute walk (at the end of the street), train station 10 minute walk and buses 5 minute walk. 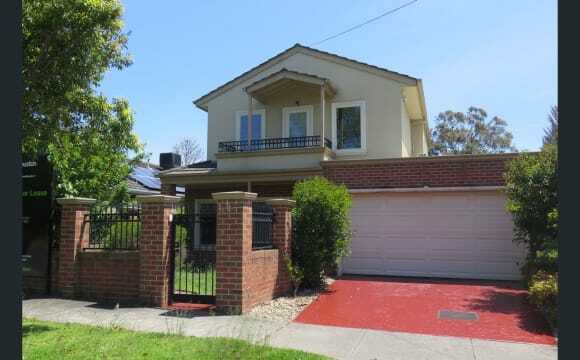 We are close to Monash University (Caulfield and Clayton). RMIT and University of Melbourne and English language colleges are reached directly by public transport. Elsternwick is a vibrant, friendly and diverse neighbourhood with great public transport. We enjoy easy access to the CBD, Melbourne's Arts and Sports precincts and bayside beaches. We are well situated for day trips to the Surfcoast, Phillip Island and the Mornington Peninsula. This is a light &amp; bright BIG home with good sized back yard &amp; garage, in beautiful Brighton. Walk less than 1km to Bay/Church St’s, choice of 2 train stations, shopping &amp; Brighton Beach is just 1.5kms away. Great rear yard for entertaining &amp; hosting BBQ’s with friends or a chat with fellow housemates! Older style Art Deco light filled home with high ceilings throughout. 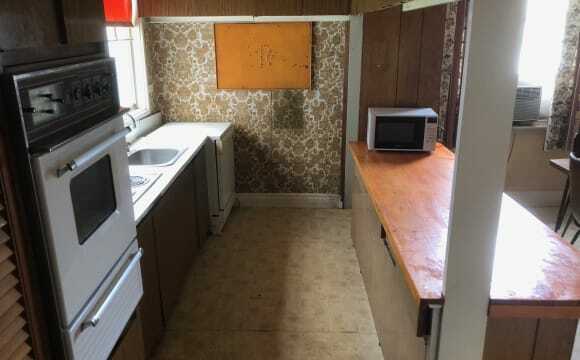 The kitchen is a bit dated but it works. On offer is the bedroom sharing a bathroom with me. Good sized room, with loads of storage/built in cupboards. Room isn’t furnished but house is. Flexible arrangements. Available to Jan 2020 (possibly longer). Bills extra at $40pw &amp; one month bond. The location. One block from the beach, so great for beach lovers or those wanting to stay active. There walking/ running tracks, cycling tracks, beaches, coffee shops and bars/ restaurants all within walking distance. There is a bus stop right at our front door and a 15 minute walk or 5 minute bus ride to the train into the city. Hi, I have just moved into this stunning Edwardian residence in Elsternwick. We have a furnished medium sized room available with huge built in wardrobes. The house is close to trains, buses and trams - yet idyllic surrounds. It is a bright and sunny house. I am a professional full time working female in her forties with two gorgeous dogs - Hudson the 11 y.o. Golden Retreiver and Hank the 9 y.o. Bichoodle. Set in magnificent landscaped gardens, the property has a wonderful sense of scale and spaciousness. Coupled with the super-convenient ‘lifestyle' locale; only 3 minutes' walk to Elsternwick Station and Glenhuntly Road shopping precinct and movie cinema. If you like gardening there is a spacious rear garden with citrus trees and vegie patch. Beautiful deck. Air-con in lounge and ducted heating throughout. Please note the photos are from when the property was sold and do not include my furniture. If you feel like the place suits you feel free to contact me. 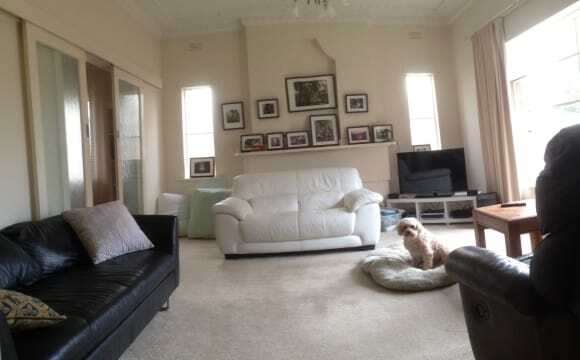 Amazing massive room in a one of a kind sharehouse🌸 Suitable for couples/ 2 friends The beautiful lighten up house is only 10 min driving from brighton beach🌴 It takes a few min walking to the 64 tram which takes you easily to the CBD,St kilda,Chapel st and Melbourne Uni. Bus and train stations are nearby as well. 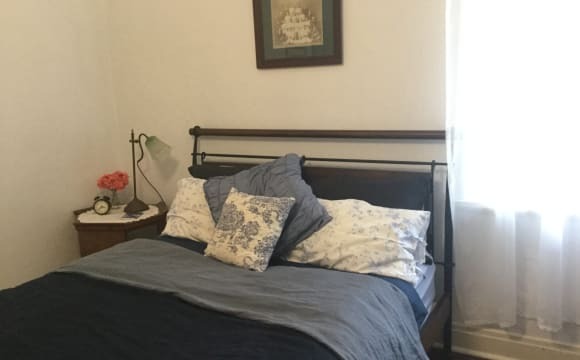 The room comes with a queen size bed bedsides working desk wardrobes The rent is $320 per week including bills, Wi-Fi, air conditioning, TV, Washing machine, Fully furnished rooms &amp; equipped kitchen, Amazing large backyard with BBQ, Beautiful patio &amp; balcony. This is the place for you!!! Located in a quiet street, made better by rad housemates. We offer good vibes, mediocre chats and above average memories, in return for your own awesomeness. We move in on the 27th of April and looking to fill the 3rd spot. The room options are as follows as no rooms are set yet. 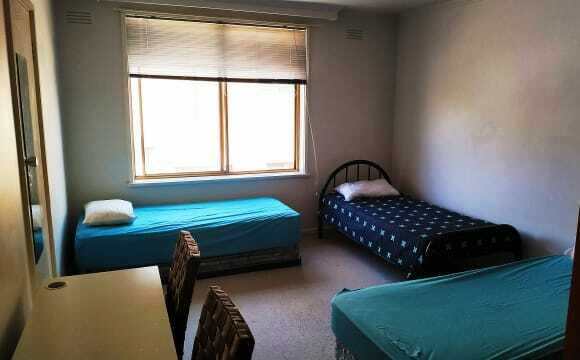 1 Master, $265 for a single, $350 for a couple, massive with walk in and ensuite. There's a private balcony with enough room to maybe do a cartwheel, if you're super flexible. (Or we can grow sneaky veggies up there) Otherwise Jason will take the Master and the other option would be one of the regular rooms, $225, great in size, would fit a queen bed and a side desk. Walk in, sharing a bathroom with 1 other housemate. All bedrooms are upstairs, so day to day life stays away and a quiet retreat can be had. The garage squeezes 2 cars, with room for another on the driveway, however street parking will be plenty. Just to confirm, only 1 room is available, but the options are between 2 different rooms. The Master room is an ideal room for a couple due to its size. We don’t have the keys yet but can organise a viewing for the human/s Ideally the house would try stay minimal waste, with all occupants trying to keep their footprint reduced as best as possible, saving money on power and gas at the same time. Internet, gas, power and potentially netflix, stan, youtube red, spotify, itunes, apple music, the courier mail, new york times and any other monthly bills can be discussed further.